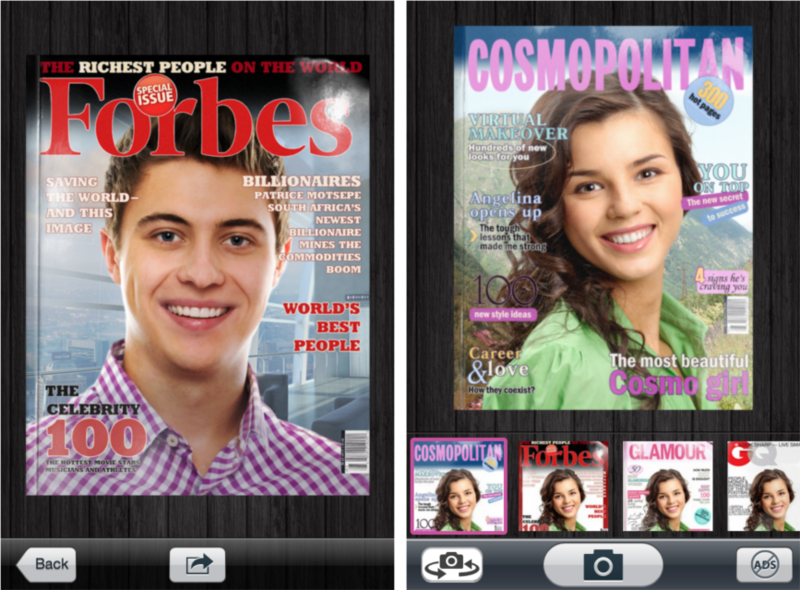 New CoverCam app: get on the cover of a popular magazine! September, 23 we have released a new ‘CoverCam’ app for iPhone. It lets you become a cover model in just a click! The app previews the chosen cover as you take a picture with your iPhone camera, so you can instantly see what you will get. We bet your friends will be amazed when they see you on the cover of Cosmopolitan or Glamour! More magazine cover templates are coming soon. Please write in comments what covers do you want us to make!